Skeins of silver-wrapped thread bound with silver-wrapped thread and red silk. 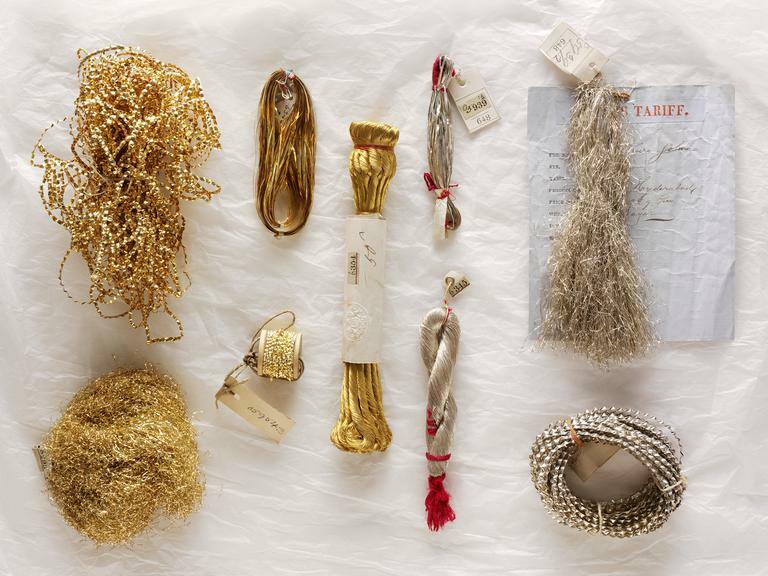 For lavish decoration, embroiderers use thin strips of silver or gilded silver (zari), sequins and metal foil, often with tiny pearls. 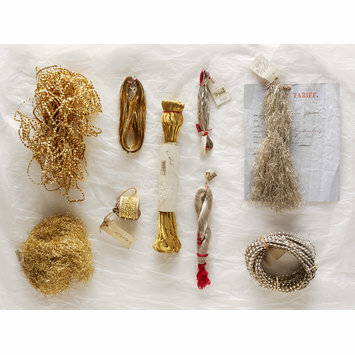 Yarn made of silk thread wrapped with silver (or gilded silver) can be woven or used for embroidery. Metal strips interwoven with silk produce luxurious shiny fabric or ribbon (gota) which can be applied onto cloth.